Last fall Colorado's Front Range was rocked by historic flooding. To many who were not directly affected by the floods, their impact might seem like a thing of the past. But for those living in the path of the September floods, the reality of what happened and the loss experienced is still fresh. Many Front Range communities are still in the early stages of rebuilding. Take a look at this image I took in Lyons, CO just last week -- there are still entire neighborhoods left all but abandoned, feet deep in silt and sand. Rows of condemned homes line the quiet blocks. In response to this disaster, there is a new effort out of Lyons to create a Flood Watch Network. This network, founded by Greg Berman of Weather Talk, is aimed at creating awareness in Boulder, Larimer, and all adjacent counties in case of flooding. The initiative couldn't come at a better time. 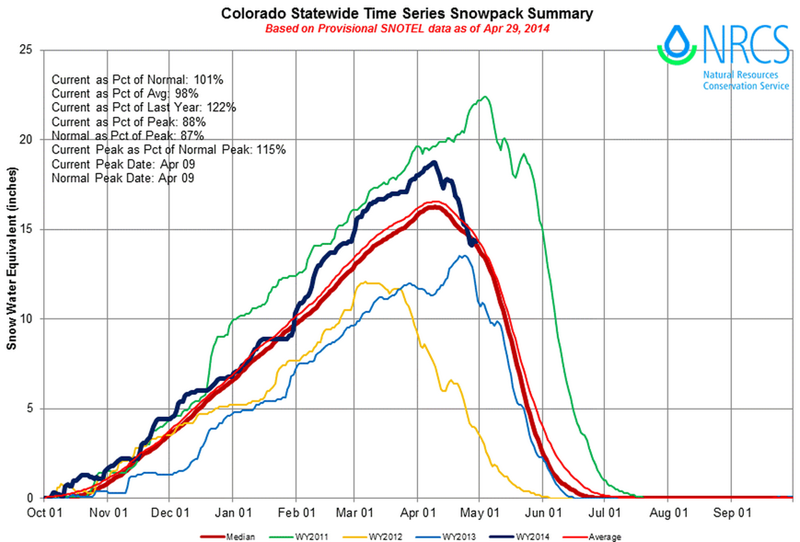 Mountain snowpack melting now, and will pick up in earnest come May. Given how good snowpack was this winter (notice where we maxed out in 2013 below), this year's snowmelt is sure to put a fury in the rivers. 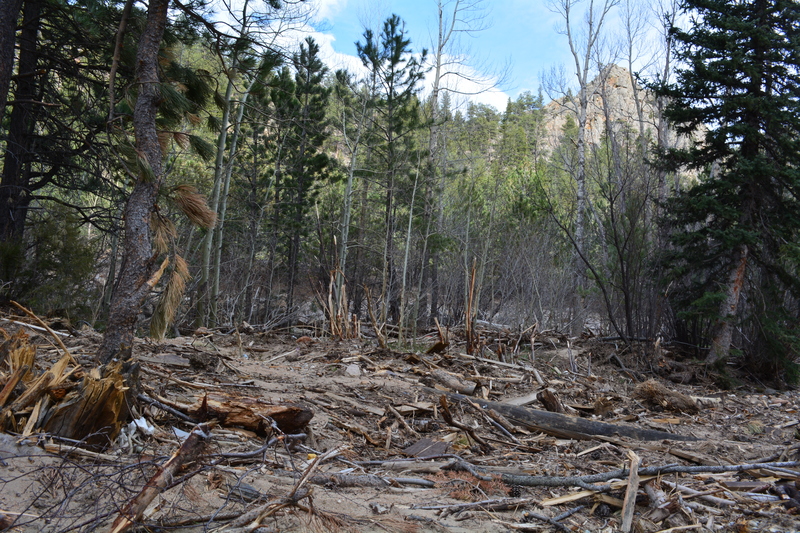 Many of the instruments used in monitoring river levels across Boulder and Larimer counties were completely destroyed in the floods. In combination with the fact that much of the topography along these rivers was changed, the loss of these instruments has lead to an elevated risk for many of the same communities hit hardest last fall with this spring's snow melt. The Network will include the following cities and surrounding regions: Estes Park, Boulder, Pinewood Springs Allenspark, Ward, Riverside, Raymond, Nederland, and adjacent towns like Longmont, Niwot, Loveland, Louisville, Lafayette and Eldorado Springs. It will rely on members of these communities joining the Flood Watch Network, and becoming active participants in reporting heavy rain and snow events over the coming months. All of these critical reports will be relayed to the Lyons Fire Chief JJ Hoffman and Assistant Fire Chief Paul Davidovich, as well as all local TV media. Information collected by the network will be used to alert everyone in case of flooding that does occur. As Greg points out, the network is meant as a precautionary measure, and does in no ways mean flooding is imminent. You can learn more about the network and how to get involved by visiting the official Facebook page, or by visiting the network's website.